The NFL will investigate a recent domestic dispute involving Pittsburgh Steelers wide receiver Antonio Brown for which he was not arrested. “We will look into it,” NFL spokesman Brian McCarthy confirmed. The incident took place Jan. 17 in Hollywood, Florida, where Brown has an offseason home. According to the incident report, a woman drove to Brown’s home to drop off their daughter and to get money from Brown for the daughter’s haircut. The report states that Brown opened the door and their daughter went into Brown’s home before he closed the door. According to police, the woman then yelled to Brown asking for the reimbursement for the haircut. After Brown opened the door, the woman “positioned herself so Brown couldn’t shut his front door.” Brown told the woman multiple times she had to leave though she acknowledged, according to police, that she refused to move. The report then states that Brown “used both hands to push her out of the doorway,” causing the woman to fall backwards to the ground. Police later photographed an injury to the woman that showed “an abrasion to her left forearm” though the woman “advised of no other visible injuries.” The report then states that the woman later met with police and declined to give a statement or press charges against Brown. 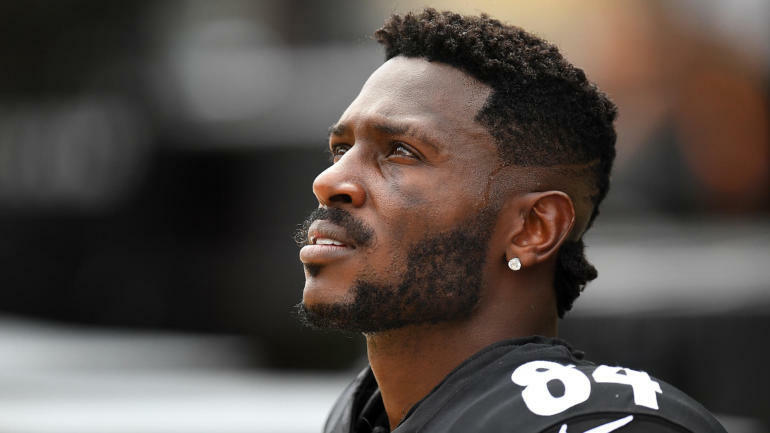 “The closed police report proves that Antonio Brown did absolutely nothing wrong, as insinuated by the recent headlines,” Brown’s attorney Darren Heitner said in a statement.